I buy all my whisky in four or five whisky stores, and usually before buying I check on A Wardrobe of Whisky to find the best prices just to make sure where it is cheaper. Don’t do it you will get a few surprises that you will regret! So here is the sorting that I use oftenly. Located at Gibraltar, Stagnetto is a brand of liquors and tobaconist retailer that has several stores at Gibraltar. 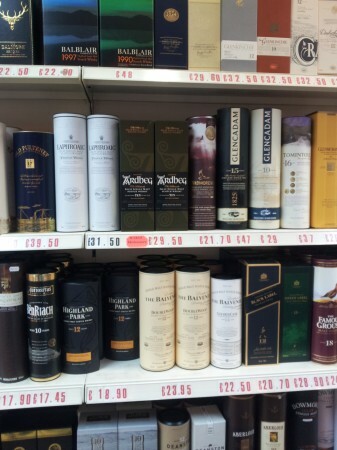 The biggest selecction of single malt whisky can be found in the shop near the catholic cathedral. But not only the range of bottles is awesome. You will have to squeeze your eyes several times to believe the prices. Being a duty free shop, Stagnetto has, for most bottles, the very best prices your will ever see. The personal is really friendly and helpful and the shop has webpage were you can check bottles available and prices although they don’t do mail orders. Just one thing, if you plan to move later to Spain you need to know that Spanish Customs will allow only 1 litre of alcohol per person. This is my favorite place to go after monthly income arrives :). I don’t remember how I discovered this online store, but it turned my passion into madness. My first order was a bottle of Ardbeg Supernova and a Macallan Liqueur. I was so impressive by the huge range and the fair prices that I have been visiting this one once per month and even more. Prices are usually fair, but it won’t hurt you check it against other shops. 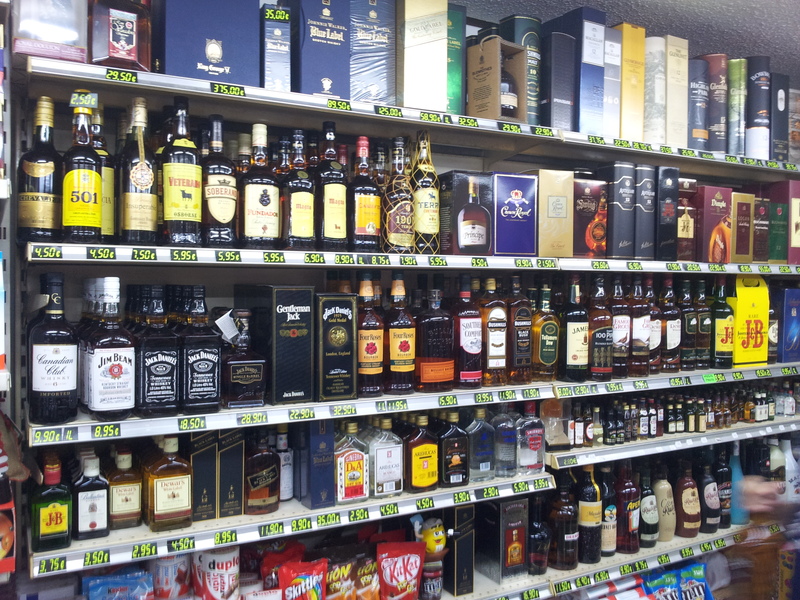 Usually The Whisky Exchange don’t have the best prices but just a few pences over it. They have a physical shop located in London that every whisky lover must visit. The first time I entered Master of Malt site I though “Wooo!”. Master of Malt has had one of the best web sites of the whisky world and has done a great investment in user friendly technologies. But the real thing that hooked me there was the prices. Until a few months ago, they were without discussion the retailer with the best whisky prices on the Internet. Now you have to double check them because they aren’t the cheapest option most of times. My heart belongs to them, and A Wardrobe of Whisky spirit too, thanks to the great idea ( and business ) behind Drink by the dram. How many times you were not sure about a bottle and ended up buying something you don’t like? Master of Malt gives you the chance of tasting small samples of literally hundred of bottles for a fraction of the real retail price. Let’s put this simple, A Wardrobe of Whisky wouldn’t be possible without them. Don’t miss the Master of Malt single cask bottlings, awesome value whiskies. The new king of web design is here to stay. After a powerful rebranding and with a better looking site than ever The Whisky Barrel is here with an huge amount of single cask, limited releases and collector’s bottles of whisky. If you are looking for something uncommon, they have it. I love their single cask releases. Another duty free retailer, Almacenes Porto is located in Port of Ceuta just on the main floor. One of the biggest range of bottles that I have seen with nice prices on cheap whiskies and fair prices on the rest. You won’t get any discount from them but the prices usually worth it. Where do you buy your whisky? So you know now if you don’t want to pay more for your whisky , you can find the best whisky prices at A Wardrobe of Whisky and save money and time.